Analyzing a hair sample may help with the diagnosis of Cushing Syndrome, a rare and potentially fatal disorder in which the body overproduces the stress hormone cortisol, according to researchers at the National Institutes of Health. Diagnosing Cushing Syndrome is often difficult and time-consuming, requiring 24 hours to analyze blood and urine tests, brain imaging tests, and tissue samples from sinuses at the base of the skull. The researchers found that measuring cortisol levels in hair samples tracked closely with standard techniques for diagnosing Cushing Syndrome. The findings appear in Endocrine: International Journal of Basic and Clinical Endocrinology. The high level of cortisol in Cushing Syndrome may result from a tumor of the pituitary or adrenal glands or as a side effect from certain medications. Cortisol is produced by the adrenal glands and helps to maintain blood pressure and heart function and to regulate blood sugar levels and the immune system. Symptoms of excess cortisol include obesity, high blood pressure, high blood sugar, high cholesterol levels, fatigue and depression. Although the condition can be cured, it can be fatal if it is not diagnosed and treated early. The researchers enrolled 30 patients with Cushing Syndrome and 6 patients who did not have the condition. The number of patients in the study was small, compared to studies of patients with more common disorders, because Cushing Syndrome is rare and it is difficult to recruit a large number of patients. Still, the researchers believe their study is the largest of its kind to compare hair cortisol levels to diagnostic tests in Cushing patients. 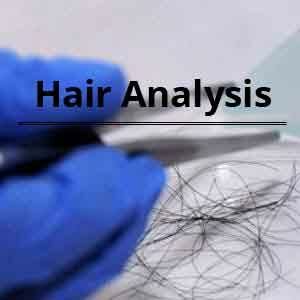 The study participants provided hair samples divided into three equal segments. Researchers observed that the hair segments closest (proximal) to the scalp had the most cortisol. Compared to hair segments furthest away from the scalp, the cortisol content of the proximal segments correlated closely with tests for cortisol levels in the urine and in blood taken at night. For most people, cortisol levels decrease at night. An elevated nighttime cortisol level in the blood is considered to be a key indicator of Cushing Syndrome. The authors note that further studies are needed to confirm their findings.